As many of you know, fasting and caloric restriction are powerful ways to hack your metabolism and achieve a more optimal state of health. However, one of the big challenges avid fasters run into is maintaining muscle mass during periods of caloric restriction. How can one retain all their hard-earned muscle while not eating a single calorie? In this study, the researchers demonstrated that obese mice (who underwent caloric restriction) lost less muscle mass and had increased fat loss when they received glycine supplementation. Specifically, obese mice underwent 20 days of caloric restriction, and they were either fed normal mouse chow, alanine supplemented chow, or glycine supplemented chow. The scientists found that caloric restriction resulted in weight loss, a reduction in inflammatory gene expression, and increased insulin sensitivity. 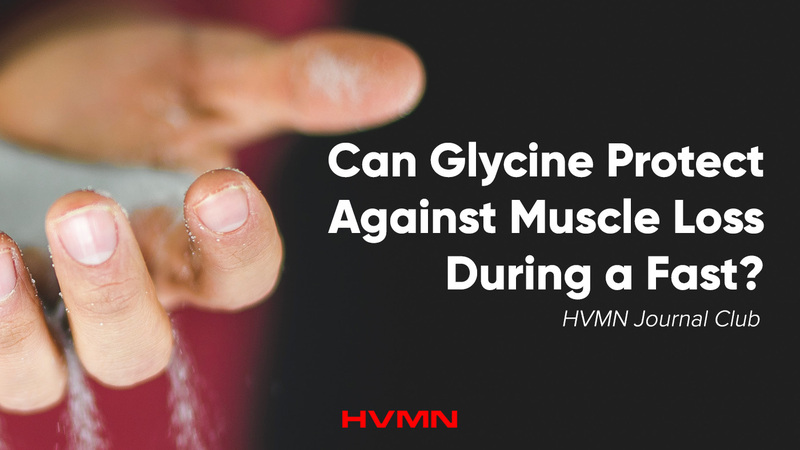 However, mice who received glycine supplementation lost more fat mass (14%, p < 0.05), lost less lean muscle mass (27%, P < 0.05), and had more quadriceps muscle mass (4%, P < 0.01) after 20 days of caloric restriction. Thus, it appears that glycine supplementation during periods of calorie restriction may improve the percentage of body weight lost as fat, and maintain lean muscle mass. One such readily available nootropic that contains Glycine is our YAWN.